I’ve been reading a lot of the market predictions for 2019 and one of the reports I came across suggested that Amazon could lead the mobile sector*, capturing a quarter of the market, if it launched a service that included Amazon Prime. But most interesting was the idea that even if Amazon launched without including Prime, 12% of mobile customers would join on the value of its brand alone. 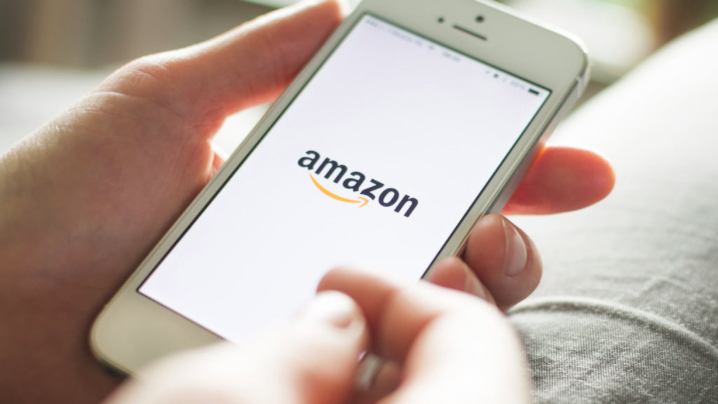 Given Amazon’s penchant for taking on high margin sectors, ones that make good use of its existing sales channel, it stands to reason that mobile could well be on the ‘to do’ list. If I were head of strategy at an operator then this report would certainly be prompting a review. It’s a real conundrum and a number of questions would be running through my head. Top of the list has to be ‘is this likely to happen?’. We know from our own research at Graystone Strategythat consumers are very amenable to the idea of buying multiple servicesfrom a brand they are already invested in. 31% of people would buy pay TV from their mobile provider and almost a fifth of people would buy their electricity and gas from them too. Plus almost a quarter would buy utilities and 43% mobile from their broadband provider. We also know that the segment we call ‘Internet Investigators’ is far more likely to buy mobile from an online retailer like Amazon. In fact 22% do. The same segment also has a high penetration of Amazon Prime subscriptions with 44% paying for the service. All the indicators for a successful opportunity are there. Amazon is moving into grocery quite happily so why not mobile? So if you’re heading up strategy at an operator, it leaves you with two options, the first of which is to add Prime as a benefit. Nothing new here. It’s a standard model that everyone is already doing to some extent, Spotify being a good example. The operator makes it free to customers, and Spotify gets a lucrative marketing channel. It’s an easy, repeatable initiative and will work just as well with Amazon Prime. The second choice is to put a wholesale arrangement in place and build an Amazon branded MVNO or jointly operated sub brand. This is a bit more interesting. Not all the networks can offer it so there’s some competitive advantage to be gained if you’re in a position to strike a deal. And if you’re an operator like Three in the UK with the smallest market share then there’s nothing to lose on a deal like this. So which do you do? Well I’d place my bets on a retail deal being done probably with the operator that has access to the customers who are younger, more data centric and most likely to shop online. Why that route and not a more interesting MVNO? Quite simply, an MVNO would be a very gutsy approach. Let’s face it, Amazon would make it a success, no doubt about that. But the question Amazon will be asking is whether it wants all the extra ‘stuff’ that goes with running a mobile network. I can see conversations running into JV territory quite quickly, or deeper partnership terms, like those between Tesco and O2, and Three and Superdrug, so they can avoid the overheads. Of course we are still hypothesising about something that may not happen. It is purely research and there’s nothing to say consumers would actually buy into it. But if there’s one thing my 20+ years in mobile have taught me, it’s to expect the unexpected. And this market move is one I certainly wouldn’t write off. Graystone Strategy was founded in 2014 by James Gray, after 20 years of working in the telecoms and retail industries in Marketing and Customer Director roles. Graystone Strategy’s team of specialist consultants work across Europe with telecoms and technology companies advising on business strategy, proposition development, segmentation and customer trends. Case studies related to MVNOs and understanding customer segmentation include Carphone Warehouse’s iDand a major Supermarket. James has over 20 years of experience working in the telecoms and retail industries. He is an expert in subscription-based business models, CRM, direct and indirect channel management and major proposition development and launches. He has held a number of Marketing Director and Consumer Director roles. Graystone Strategy Ltd. All rights reserved.